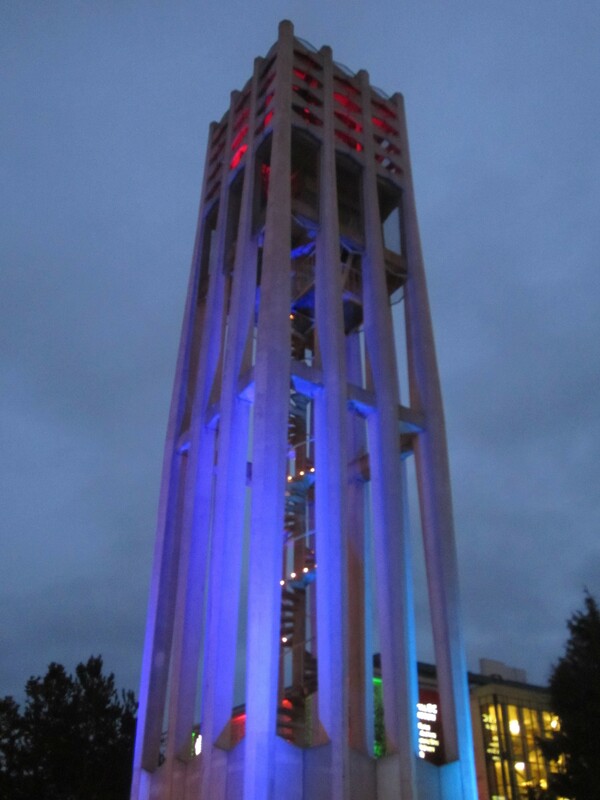 The carillon was a gift from the Dutch community of British Columbia, to celebrate Canada’s 100th birthday, and also to honour Canada’s role in the liberation of Holland in World War II. 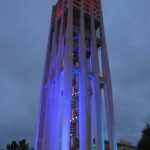 The carillon was conceived and sponsored by the Netherlands Committee for BC, under the chairmanship of L. R. Doorman, and the patronage of J. G. Beekman, Consul-General of the Netherlands in Vancouver. 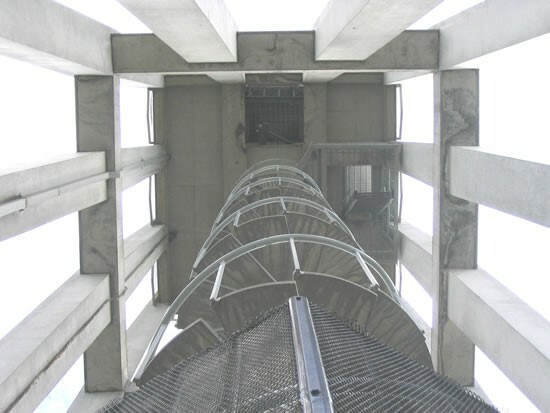 The tower in which the carillon is housed, was designed by the Department of Public Works in British Columbia, and the cost contributed by the provincial government. Queen Juliana of the Netherlands laid the cornerstone on 23 May 1967. The presentation and ringing-in ceremony took place on 9 March 1968. 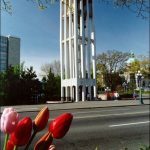 Carillonneur Herman Bergink played to an audience which included The Honourable W. A. C. Bennett, Premier of British Columbia, The Honourable George R. Pearkes, Lieutenant Governor of the Province of British Columbia, and J. G. Beekman, Consul-General of the Netherlands. One of the bells was dedicated to the Canadian soldiers who gave their lives for the liberation of the Netherlands during the Second World War. 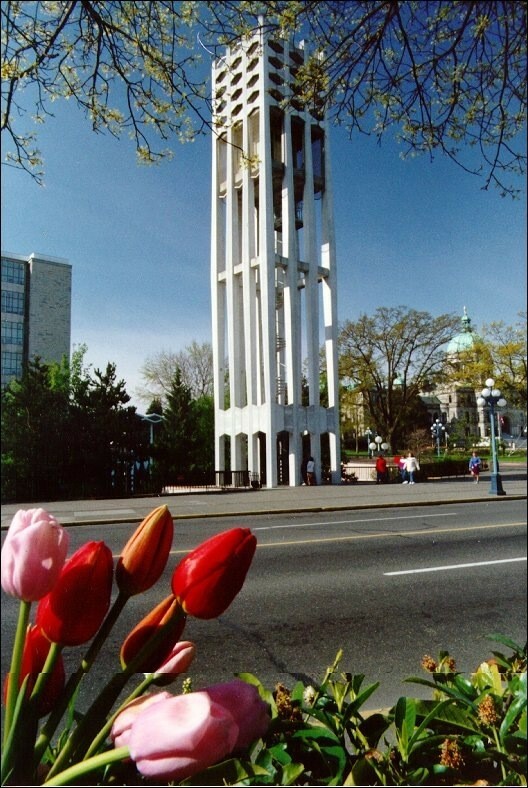 In 1971, the carillon was enlarged from 49 to 62 bells after funds were raised through the sale of a recording made by Provincial Carillonneur Herman Bergink and his tutor Leen ’t Hart. The automatic player went silent in 2003. 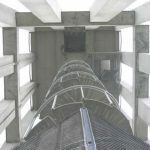 Since it could not be repaired, it was replaced by state-of-the-art technology in 2007. The $55,000 Royal Eijsbouts project was funded by local benefactor Ralph Bodine and included replacement of the carillon’s original keyboard. 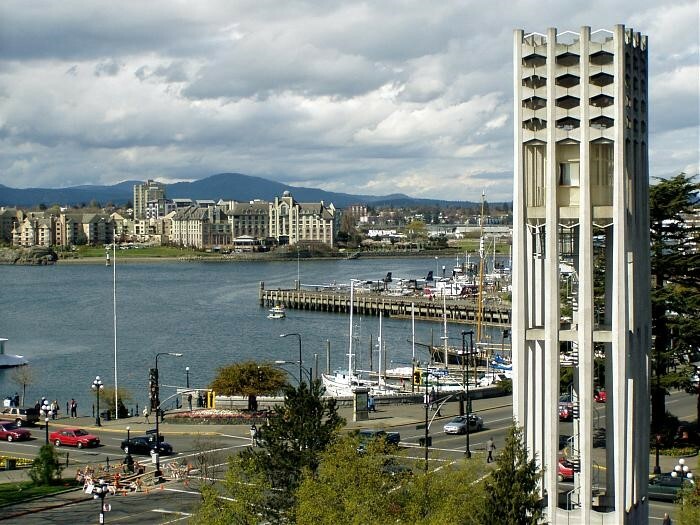 Today the carillon adds charm to the neighbourhood of Victoria’s Inner Harbour and the parliament buildings. 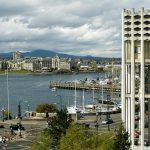 Every December, the Royal BC Museum hosts ‘Carol-Along with the Carillon’, featuring choirs and members of the community singing their favourite seasonal songs, accompanied live by the carillon, followed by hot chocolate and cookies.